HSBC Holdings, the top arranger of debt issues in the Gulf Arab region, has named Mustafa Aziz Ata to run its debt capital markets business for the Middle East and North Africa, an internal memo from the bank showed. Aziz, who joined the bank in 2004, is currently a director in its global capital markets division. In his new role, Aziz will report to Russell Schofield-Bezer, head of EMEA debt capital markets, and regionally to Georges Elhedery, who runs the bank’s markets and capital financing business in the region. The British bank revamped its global investment banking operations in July, separating responsibilities for products and client coverage in a bid to drive business growth. The lender also named Mohammed al-Tuwaijri as chief executive of the Middle East and North Africa, replacing Simon Cooper, who was appointed head of the bank’s commercial banking arm. 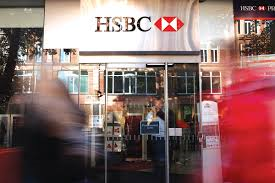 London-based HSBC’s sukuk financing operations in the region, mainly arranging the sale of Islamic debt for clients, will remain under Mohammed Dawood, HSBC’s Dubai-based global head of sukuk financing. HSBC held the top position for debt offerings in the Middle East during the first half of this year, helping to arrange $4.12 billion through 17 deals, according to Thomson Reuters data. The lender had a 16 percent share of debt issues in the Middle East, the data showed. Among major deals this year, HSBC was involved in a $1 billion Tier 1 bond by Dubai’s largest lender, Emirates NBD , and a $1.25 billion dual-tranche bond by the Dubai government.